There are two things that everyone in Austin complains about, or so the story goes: the weather, and traffic. As phenomena go, they have a lot in common. Man-made, or at least man-affected, and we can't do without either. But sometimes, we might like to. I'm going to talk about one of these things, and reach a point where it relates to Austin, game development, Richard Garriott, and lots of people in between. It will pay off. 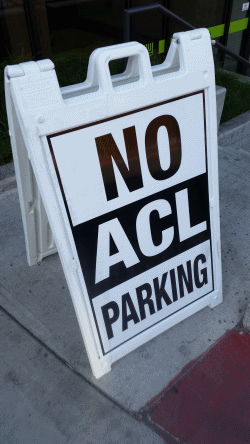 The sign outside said, “NO ACL PARKING.” As is the case with a lot of messages in Austin, the meaning was apparent, but some context was lost. It might as well have said, “GETTING AROUND IN AUSTIN IS HARD.” That would make more sense to out-of-towners, and no one would think it was a notice about bad knees. I was at the Alamo Drafthouse's South Lamar location, to see a movie. The week before, the parking garage was packed with cars. That's because of Fantastic Fest, the film festival organized by the Alamo's owners. There was also a video game showcase, Fantastic Arcade, organized by the same people who put on Juegos Rancheros every month. But that was all over. The big event of the week was the Austin City Limits Music Festival. That's what “ACL” means in Austin. It happens every fall in Zilker Park, which has the most park attractions of anywhere in the city. A spring-fed swimming pool. Lots of jungle gyms. A wide-open plain where stages and AV towers spring up, and bands play live outdoors. Zilker is 1 mile away from where the “NO ACL PARKING” sign was. If anyone had driven to South Lamar to go to ACL, they would have had to walk a mile, carrying their folding chairs and beverage coolers all the way. Of course, they could park closer, if there was any parking to be found. But it rarely ever is during ACL. In 2014, 450,000 ACL tickets were sold. That's more than South By Southwest, SXSW, that sold 400,000 tickets in the same year. During “South By,” two weeks in March, the entirety of downtown Austin, 19 blocks north and 15 blocks south of Lady Bird Lake*, is jammed full of foot traffic, day and night. There are other options for getting around. A few, anyway. Capital Metro, the public transit system for Austin, has a fleet of buses that travel all over the city. In 2010, it added MetroRail, a single rail line that travels north to Leander and south to downtown, terminating right outside the Austin Convention Center. During the week, the trains stop before 7 p.m. In January 2014, it added MetroRapid, two routes of “bendy buses” that cover high-traffic areas of the city. That's it for mass transit in Austin in 2015. No elevated rail. No subways. If you don't have access to a car, you're not going to get very far unless you want to walk. Or ride your bike. Surprisingly, people choose to live here, and go to work. Some even make video games here. What might be more surprising is how long some of those video game developers have been here. More than 30 years ago, back to the mid-80s, there was only one company to work at if you wanted to make video games for a living in Austin. But that's one more place than most cities had at the time. When Origin closed in 2004, it was operating out of an office complex known, then as now, as Bridgepoint Plaza. Located on State Highway Loop 360, also known as Capital of Texas Highway, it sits just north of the picturesque Pennybacker Bridge, which curves over the Colorado River. There is no bus service that travels on 360. So if you worked at Origin, or if you work at any of the offices nestled into the forested hills and exposed limestone, driving was and is the only option to go to work. Bridgepoint Plaza, it should be said, is less than a 10-minute drive from Britannia Manor, the riverfront property owned by Richard Garriott (who since getting married in 2011 is known as Richard Garriott de Cayeaux.) So it should not be a surprise that most of the people who worked at Origin also decided to live close to work – either in the intersection of U.S. 183, 360 and State Highway Loop 1 (aka “Mopac”) generally known as the Arboretum. Because of that, plus lots of office space located close to highways in Austin's northern reaches, most people employed at game studios in Austin work within a 15-minute drive of Richard's house. The Domain, a mixed-use development far northeast of the Arboretum, has development offices for BioWare Austin (Star Wars: The Old Republic) and KingsIsle (Wizard101, Pirate101). At one time those two studios were the largest game-dev employers in the area. 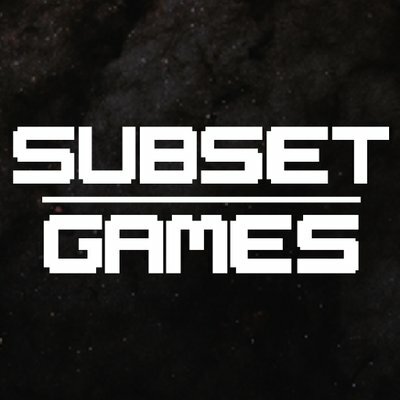 Richard (it's hard to talk about Austin game development without mentioning him a lot,) splits his time between Austin and New York City, where his wife and daughter live. (He became a father for the first time in 2012, at the age of 51.) As of August 2015 he's talking about his latest bright idea – all about Austin's lackluster transportation infrastructure. His solution: a privately-operated “private rail transit” system that runs small rail-mounted cabs around the city, nonstop. While I was researching this article, a number of friends who live or have lived in much more densely-populated cities such as New York and Los Angeles reminded me that Austin traffic isn't nearly as bad as some other places – especially if you live there as a professional game developer. Austin, of course, is in Texas. “Wide-open spaces” are often cited, historically as well as lyrically, as a reason why anyone likes Texas. This means that for as long as there have been people in Texas, going long distances was an accepted part of life here. Texans will still drive 150 miles to a high-school football game and return in the dead of night. Interstate 35, which cuts through the middle of the city north to south, is the oldest highway in Austin, and has heavy commuter as well as freight-truck traffic. In November 2015, a study by the state transportation department declared the section of I-35 between U.S. 290 and State Highway 71 – several miles on either side of downtown and Lady Bird Lake – to have the worst traffic in Texas. The weather's also a factor. In most places in America, you have to hide indoors 5 months out of the year. There are places in California where that isn't true, but in Chicago, it's during the winter. In Texas, it's the summer. You don't want to ride your bicycle to a meeting across town for a slate of meetings in triple-digit heat. Even if you want to walk, you're not going to get far without running out of designated walking space. While there are lots of walking and bike trails along scenic greenbelts, walking as a means to get from place to place is difficult to the point of being deadly – there just aren't enough sidewalks to get around. So you're still going to want a car if you don't want to get run over. However, it's a city where events are organized on a near-constant basis, and every night is a choice about whether to see a live music show, a stage play, a standup comedy act, a trivia night, or professional-development seminar. More on that next time. This is all about what Austin is, has been and will be. Just remember where you parked. Unless you call in Lyft. Or Uber. Or get a self-driving car. *Lady Bird Lake, still known as Town Lake but officially renamed in 2007 after the death of Lady Bird Johnson, First Lady and widow of President Lyndon B. Johnson, is not really a lake. It's a dammed-up wide spot in the Colorado River. Lake Austin, located upstream to the northwest, is also a wide spot in the Colorado, and also not really a lake.